On Sunday, in IPL doubleheader the 2nd match of the day will be played between Surnisers Hyderabad and Delhi Capitals at Rajiv Gandhi International Stadium in Hyderabad. Both the teams have some big hitters and strong bowling line up. This clash looks like it will turn out into a nail-biting encounter for the fans. Let’s see who will win this match. 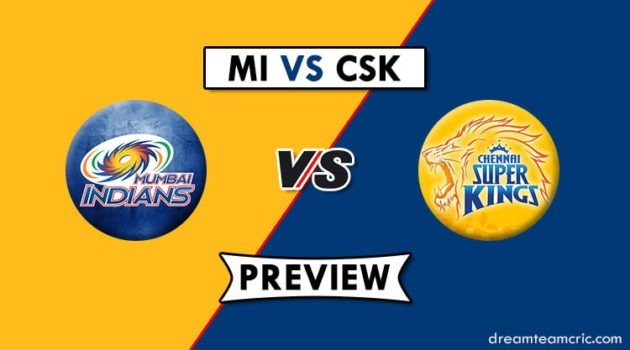 This will be the 30th match of Indian Premier League 2019. 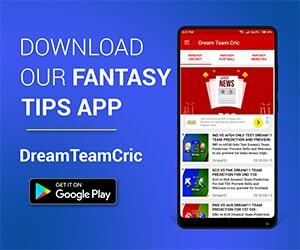 We are covering SRH vs DC Dotball Team Prediction, Preview and Probable Playing XI for the T20 match. DC is performing well in a group. In every match they have got a new match winner, now whether w talk about Shikhar Dhawan 99 runs innings against KKR, Prithwi Shaw 99 against KKR or Rishabh Pant blast against Mumbai Indians. This team is becoming dangerous as the tournament is going towards its end. DC is currently at 4th position in the table and looks like a serious contender of the playoff this year. Combination of Ricky Pointing and Sourav Ganguly in the coaching staff is giving out good results to the owners of this team. Pair of Kagiso Rabada and Ishant Sharma is turning out to be economical as well as they are getting success in getting important breakthroughs for the team in a crucial situation. SRH are currently at 6 positions in the table with 3 wins in 6 matches. This match is important from the perspective of SRH. If they win this match, they will come into the contention playoffs. Opening pair of SRH which includes Jonny Bairstow and David Warner is in top form and is expected they will repeat there good performance against Delhi Capitals. The middle order has been a problem for SRH but as soon as Kane Williamson returns, that problem will also get resolve for SRH. Bowling line up as always looks great. Sandeep Sharma and Bhuvneshwar Kumar are bowling well alongside their top class spinner Rashid Khan. The Afghanistan spinner’s leg-spin is still making it tough for the batsmen’s to react or charge against him. Generally, the wicket here is considered as a flat track, which tends to slow down as the game progresses. This means that the spinners would enjoy bowling here than the pacers. It looks like Kane Williamson is fit to play for SRH against DC, which means M. Nabi will have to warm the bench. It will be important for SRH if Kane Williamson is fit because the middle order is not performing up to the expectation of management. Sandeep Lamichannei can come in for DC in place of Keemo Paul against SRH which will be played at Rajiv Gandhi Stadium in Hyderabad. Shadab Nadeem will replace Deepak Hooda, who hasn’t been impressive with the bat for the team. Prithvi Shaw and Shikhar Dhawan will open the innings for DC. Sunrisers Hyderabad – Kane Williamson (C), Bhuvneshwar Kumar, David Warner, Shreevats Goswami, Wriddhiman Saha, Jonny Bairstow, Martin Guptill, Manish Pandey, Yusuf Pathan, Deepak Hooda, Ricky Bhui, Abhishek Sharma, Vijay Shankar, Shakib Al Hasan, Mohammad Nabi, Rashid Khan, Shahbaz Nadeem, Khaleel Ahmed, Sidharth Kaul, Sandeep Sharma, Natarajan, Basil Thampi, Billy Stanlake. Delhi Capitals – Shreyas Iyer (C), Shikhar Dhawan, Prithvi Shaw, Rishabh Pant, Colin Ingram, Axar Patel, Manjot Kalra, Chris Morris, Hanuma Vihari, Keemo Paul, Sherfane Rutherford, Kagiso Rabada, Trent Boult, Rahul Tewatia, Harshal Patel, Colin Munro, Ankush Bains, Amit Mishra, Sandeep Lamichhane, Avesh Khan, Ishant Sharma, Bandaru Ayyappa. Delhi Capitals– Ishant Sharma, Shikhar Dhawan, Colin Ingram, Chris Morris, Axar Patel, Shreyas Iyer (c), Kagiso Rabada, Rahul Tewatia, Rishabh Pant (wk), Keemo Paul, Prithvi Shaw. Sunrisers Hyderabad – Yusuf Pathan, Bhuvneshwar Kumar (c), David Warner, Siddarth Kaul, Manish Pandey, Mohammad Nabi, Jonny Bairstow (wk), Vijay Shankar, Sandeep Sharma, Deepak Hooda, Rashid Khan. Afghan spinner has always been in the news because of his bowling skills. He is one of the most talented spinners playing in the IPL. This year he hasn’t given a shining performance with the bowl but still, he is successful in deceiving the batsmen with his leg spin. In 6 matches he has taken 6 wickets at a low economy of 5.83, which shows how exceptionally well he is. It might be his day at Rajiv Gandhi Stadium. The current top scorer of this season is David Warner. After returning from a ban of 1 year, David Warner looks in his top-notch form, which is the main reason behind the success of SRH in IPL 2019. He has scored 349 runs in 6 matches of this season, which includes 1 century, and 3 half century. After watching this he is the major pick of this match. He is counted under the list of the most destructive batsmen playing in the IPL currently. Who can forget his destructive innings against Mumbai Indians, which single-handedly made Delhi Capitals win that match. In the last match against KKR, he gave a contribution of 46 runs. Pant looks in top form and will be a key figure to watch against SRH. Another left-handed batsman of Delhi Capitals, who is back in form. In the last match, he played a brilliant inning of 99 runs. Now it will be a good game to watch, that how Shikhar Dhawan will perform against his former team this year.